Hi everyone – well after last weeks total wash out, we will be hopefully back playing cricket this weekend. Tomorrow night after matches, training and Milo, we will be having Roast beef and Roast pork rolls, gravy, sausages and vegie burgers. Please come upstairs and enjoy the post match celebrations and presentations, while we hear how our children performed. Our Junior Christmas Party is on Friday 15 December. Santa will be in attendance sometime around 6.45pm, and will visit the Milo Children and the Super 7s and Fast 9s (who will be training). All teams at home will be on duty on the night, and I will be setting up a roster of 30 minute shifts, where all families can nominate a time on the night they would like to cook the sausages or serve the food. This way we can all assist and all enjoy the night!! We have been fortunate enough to secure a spot at Bunnings to run the BBQ on Saturday 13 January 2018. I will have a roster in the club rooms for the rest of the season. Can I please have some volunteers to do a two hour shift on the day (8.00am-10.00am, 10.00am-12.00pm, 12.00pm-2.00pm, 2.00pm-4.00pm). With well over 100 families, I am really hopeful that we can fill this roster. This is a great way for the club to raise money – and generate funds from people outside the club!! Can you please let me know if you can assist. 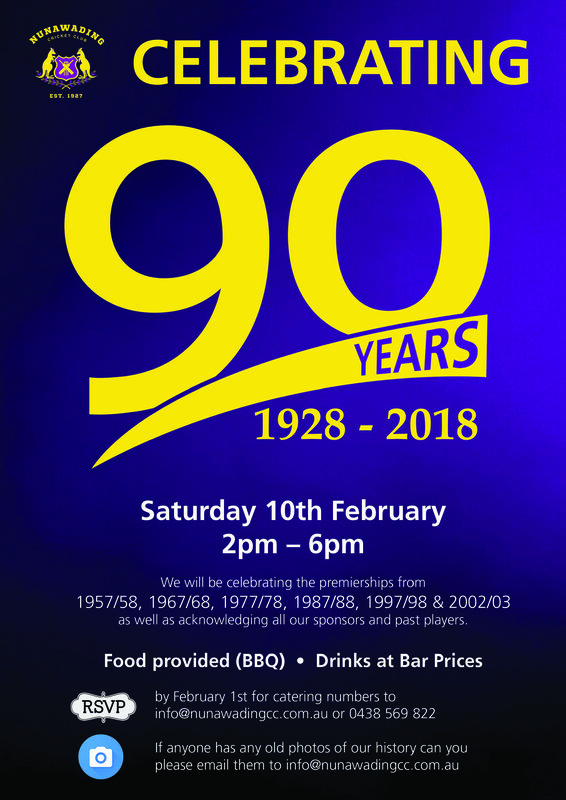 As always – please support our local sponsors – who in turn help our club. For all your physio needs, please contact Back in Motion. Back in Motion have helped get many of our older seniors (and Junior Dads) bodies back working after playing cricket! The Club will again be participating in the Toyota Good for Cricket Raffle. Raffle Books / tickets will be available to sell this week. If you would like a book to sell at your work place, please let me know. Otherwise, please feel free to purchase a ticket on Friday night.